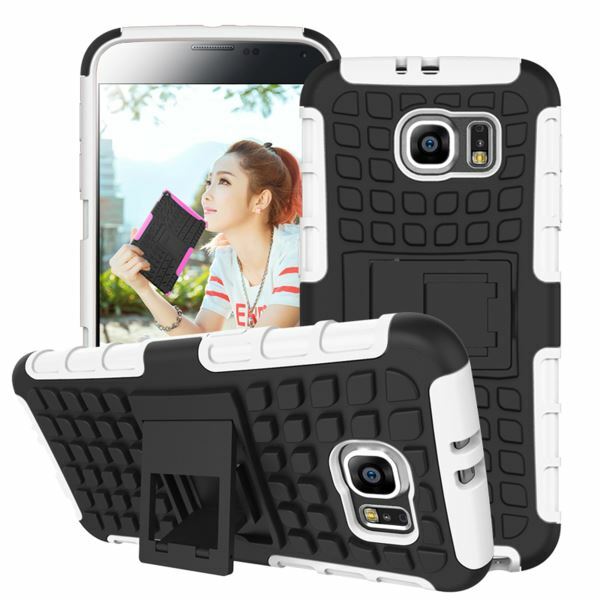 Tyre Tread Stylish Case with Stand TPU+PC for Samsung Galaxy S6 -White. This case comes with patent. The special tyre tread design is not only about protect phone well, also about stylish, about fashion attitude. 1.100% new with premium quality and exquisite workmanship. 2.Special tyre tread design is stylish and out of the common. 3.With the foldable holder, it is more convenient for using. 4.All function buttons and ports are accessible without removing the case.